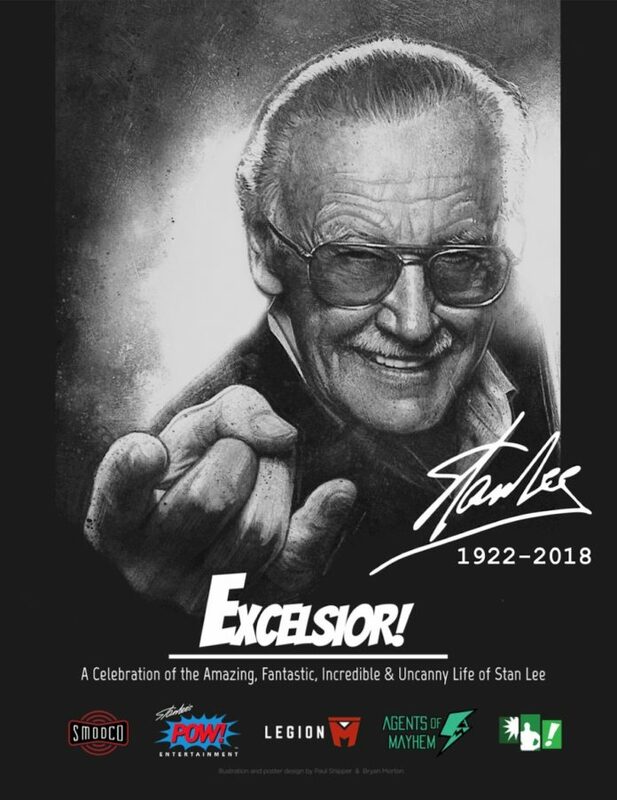 In less than a week Stan Lee will be remembered and honored at Excelsior! A Celebration of the Amazing, Fantastic, Incredible & Uncanny Life of Stan Lee on Wednesday, January 30 at Hollywood’s iconic TCL Chinese Theatre. This morning, Legion M and Agents of Mayhem in partnership with Stan Lee’s POW! Entertainment are revealing more details for what promises to be a historic celebration for the legendary storyteller. Mark Hamill, Kevin Smith, RZA, Clark Gregg, Felicia Day, Bill Duke, cast members from Marvel’s “The Runaways,” cast members from FX’s “Legion,” and Fox’s “The Gifted,” among many other luminaries from the entertainment world will be in attendance. Members of the creative team behind the Academy Award-nominated “Spider-Man: Into the Spider-Verse,” including writer/producer Phil Lord and producers Chris Miller, Avi Arad and Amy Pascal will also be on stage to honor Stan during the IMAX Theatre portion of the event. Producers Lauren Shuler Donner and Derek Hoffman round off the evening’s panels as they speak to and celebrate the modern impact of Stan’s characters through two decades of X-Men in film and television. The evening event will also include discussions with stars from the comics world and Stan’s personal friends, including Marv Wolfman (Blade creator), Marvel’s Chief Creative Officer Joe Quesada and Executive VP, Head of Television Jeph Loeb, artist Bill Sienkiewicz (Elektra: Assassin), and Stan’s business partner at Stan Lee’s POW! Entertainment, Gill Champion.